"We have had a home World Cup before but it is really special for me to be captaining in a home World Cup." As dreams go, captaining your country in a home World Cup registers highly in most athletes' ambitions. 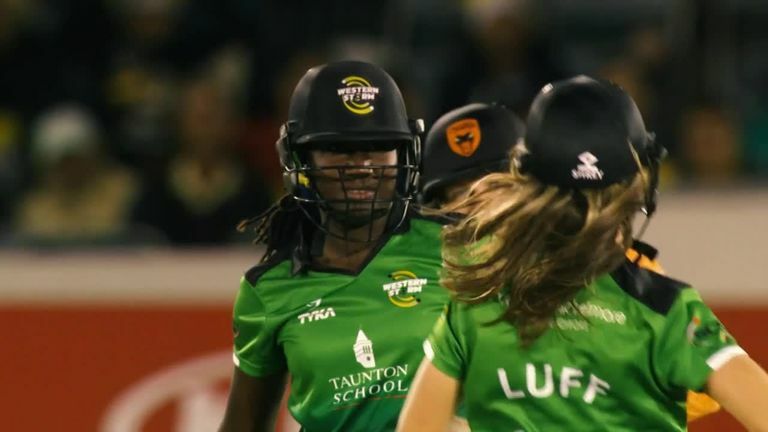 It is no different for Stafanie Taylor, as she aims to lead the World T20 champions to back-to-back crowns in the shortest format of the game next month in the Caribbean. But, had it not been for a sports teacher at primary school, the world may have been prevented from witnessing the indisputable talent the all-rounder possesses. Having always enjoyed sports, Taylor was an avid football player before being introduced to cricket at the age of eight by her teacher - who believed she would be a natural at the game. "I didn't dream of playing for the West Indies when I was young," Taylor said. "When I started playing and people were telling me how good I was, that's when I thought I want to captain one day. "After realising how good I was and having the support I had around me, I wanted to captain Jamaica and the West Indies. "The passion from a tender age really spiralled through my game. When I was younger I wasn't even thinking about money or being professional. "I just wanted to be out there playing because I loved the game and that was the same for the majority of players." Taylor was just 19-years-old when the Windies previously hosted the World T20, beating England and South Africa as they finished runners-up to Australia in their four-team group. The spinning all-rounder top-scored for her country in the semi-final against New Zealand but could not stop her side falling to a heavy 56-run defeat. Six years later, and now installed as captain of the Caribbean side, Taylor tasted revenge as her three-wicket haul helped the Windies overcome the White Ferns in their 2016 World T20 semi-final win in India. Despite being tournament underdogs, the Windies cruised to the title - crushing reigning champions Australia by eight wickets - and Taylor credits former India cricketer Robin Singh for their unlikely victory. "Flying under the radar at the last tournament really helped us," she said. "Personally, Robin Singh really helped me in India. "We spoke a lot on the phone, he talked to me about my game, the role that he believed I should play and if I played that role the team would win. He has contributed so much to me and helping the team to win. "We have had a home World Cup before but it is really special for me to be captaining in a home tournament. I am hoping the team plays well at home and can defend the title, but there is going to be a lot of pressure. "We know what is like to win a World Cup but it is all going to be down to nerves to come out on top with that home pressure." Taylor finished the 2016 World T20 as the leading runscorer, with 246 runs, and also picked up eight wickets as she was named player of the tournament. The right-handed batter has long been regarded as a power-hitter, having struck a 49-ball 90 on her T20I debut against Ireland in 2008. 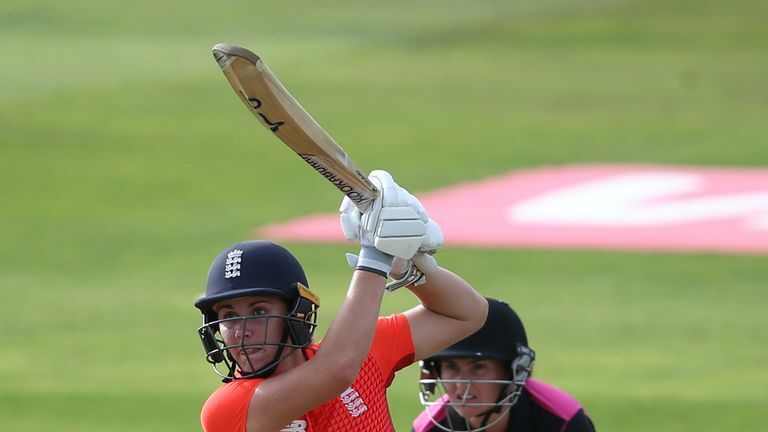 At the age of 19 she became the then-youngest woman to reach 1,000 one-day international runs, only recently being overtaken by Laura Wolvaardt in February 2018. Although she began her career as an opening batter, she dropped down the order - often batting at No 4 in T20Is now - in order to offer stability to the line-up. Chris Gayle has long been a role model of Taylor's but she believes there are misconceptions about the similarities between the two players. "When I tell people how Chris Gayle is one of my role models people think I modelled my game after him," she says. "But, I didn't. "I think we are quite opposite, people say I am a big hitter - I don't think I am. "I'm more of a person who takes their time and then, when I can, I go big. So Gayle and I are so different. I was groomed to play like this and be this type of person. "Early on in my career when I just started out, I was more often the aggressor, and perhaps that's why people think I am this type of person, but over the years I have changed because of my role in the team. "I like the fact that I can take my time and play my game because I know, at the end of the day, I can catch up. I like the role of who I am as a player now. "It is the role that was given to me and at first it was a bit iffy, but now I can see why and I have embraced that." As a talented cricketer Taylor has scaled many heights during her career - including becoming the first player, male or female, to achieve the No 1 ODI ranking in batting and bowling simultaneously in 2013. Two years later she was named Windies captain, but the added responsibility was nothing new for the record-breaking player. "I had responsibility before I was captain so there wasn't much of a change for me," Taylor said. "I was the person who was consistently making runs. "Pressure has never bothered me, I just always go out there to make runs. It just happens without me having to think about it too much." In April, Taylor moved up to fifth place on the all-time highest women's runscorer list in ODI cricket, surpassing New Zealand's Debbie Hockley. But, for all she has achieved, there is still one accolade she is searching for and a home World Cup would be a fitting time to accomplish it. "I want us to continue growing as individuals and as a team," she said. "I still have more to give and even the other girls have more to give. "Scoring a T20 century is definitely what I have been working on. I'm not sure when it's going to happen, but I feel it will. "I'm hoping that it comes at the right time. It would be very special, playing at home, scoring a T20 century the first time."